Buy a new or pre-registered Kawasaki ER-5 or KLE500 and you could get a year of free fully comprehensive insurance. The cover is underwritten by Kawasaki's K-Care Insurance, and you'll need to be over 21 years of age and meet the scheme's qualification criteria. It is only available until May 31, 2006, and doesn't include Eire and Northern ireland. Thinking about a Kawasaki? To read reviews. Click here. Read almost 1600 Product Reviews. Click here. Find your nearest dealer. Click here. 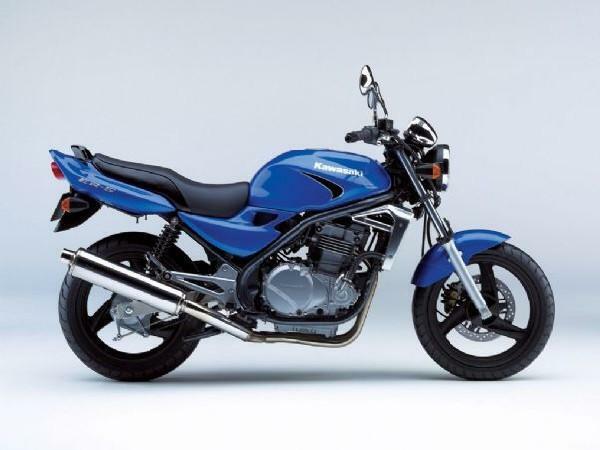 To read more on the Kawasaki ER-5 or Kawasaki KLE500, follow the links right. You'll need to buy from a Kawasaki franchised road bike dealer to take advantage of the insurance offer.